Distance from Strip: 15 – 20 Min. 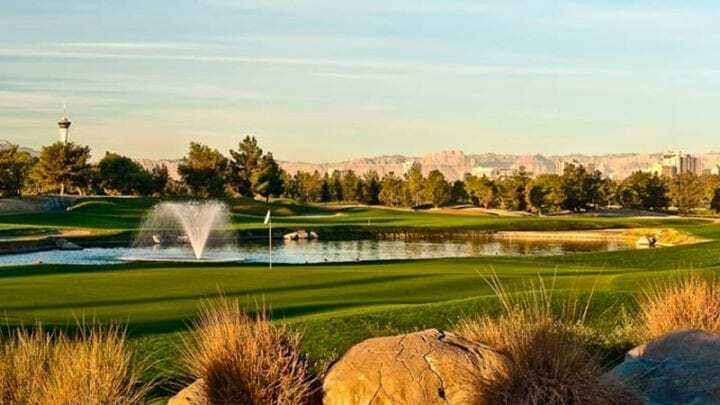 Designed by the well-known Jay Morrish and Dave Druzisky, DragonRidge Country Club quickly has become one of the best known courses in Las Vegas to play when you are here. The tables can wait if you want to play some serious golf. 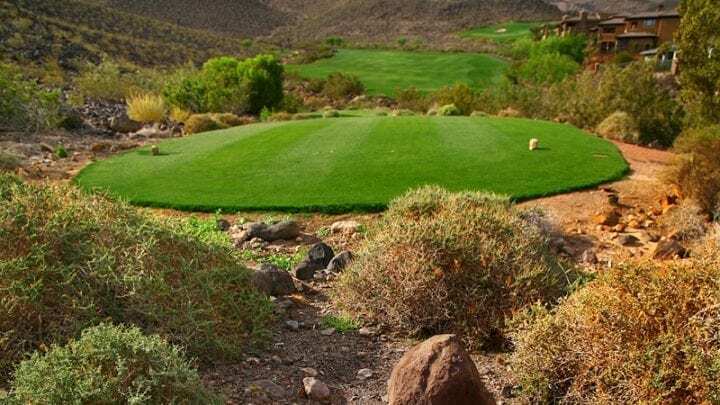 This course has been fully private for a few years now, and has decided to reopen its doors for limited non-member play. 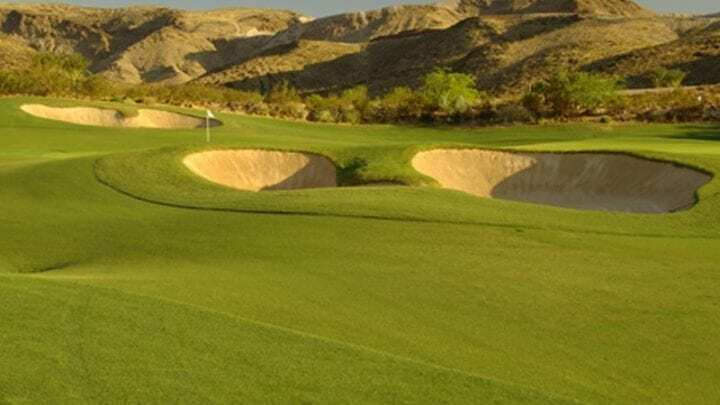 Even though the course only plays a little over 7,000 yards from the tips, do not let that fool you. 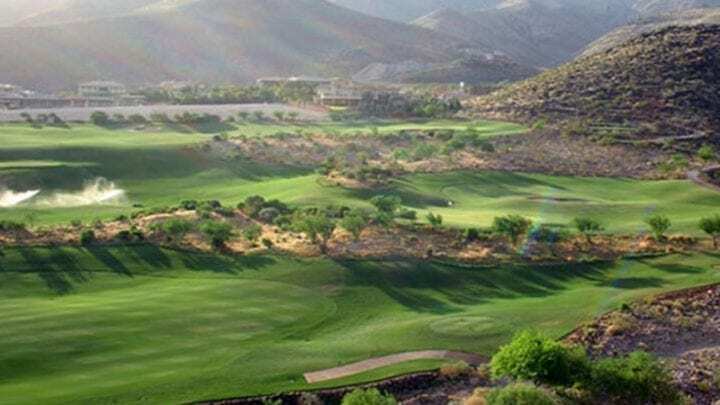 Being fully dynamited from the mountains, and a slope and rating of 72.9/143, DragonRidge has some shots that you will not think are possible. 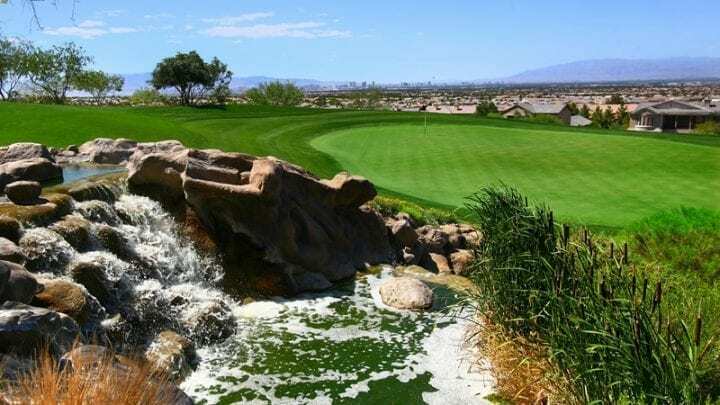 Your ball will fly over multiple desert washes, bunkers, and water features during its flight. 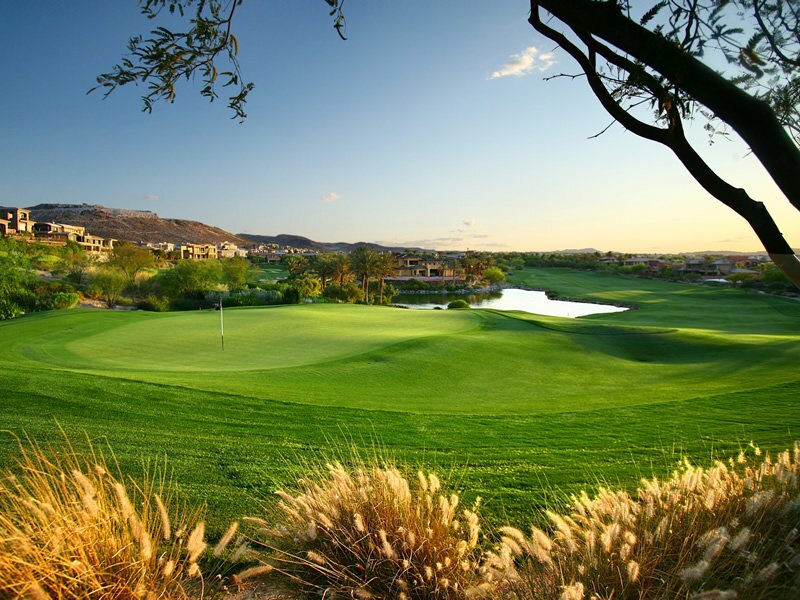 This course does cater play to all golfers with six sets of tee boxes and generous fairways. 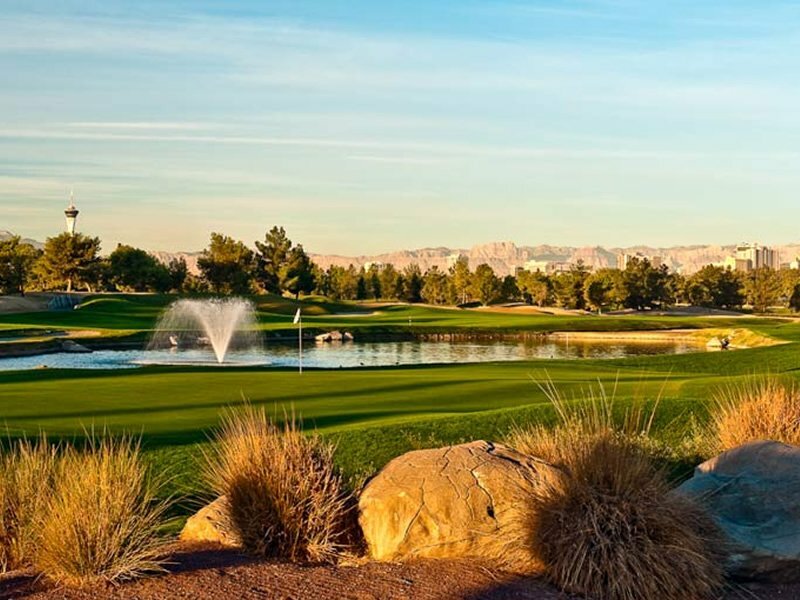 DragonRidge Country Clubs is also privy to some of the most breathtaking views in the Las Vegas Valley. 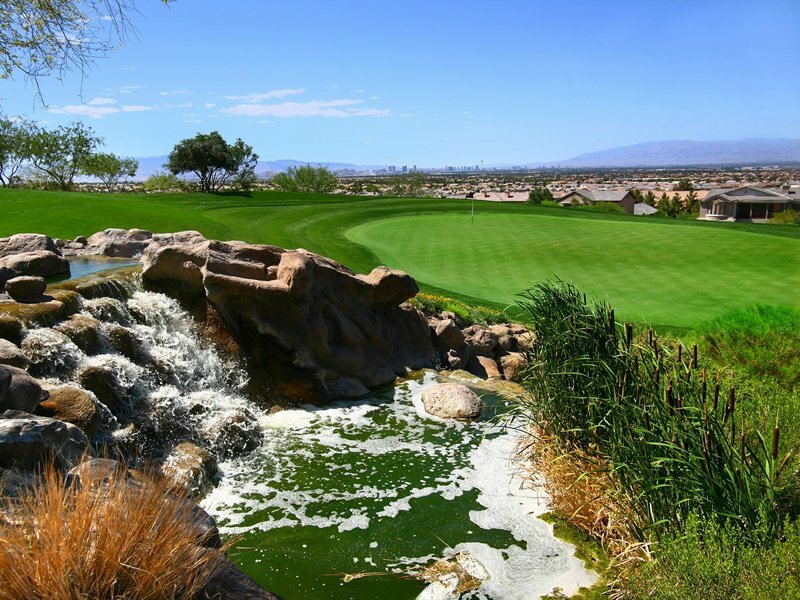 Number 2, being one of the most popular holes on the course, is a par-3 that is 229 yards from the tips. 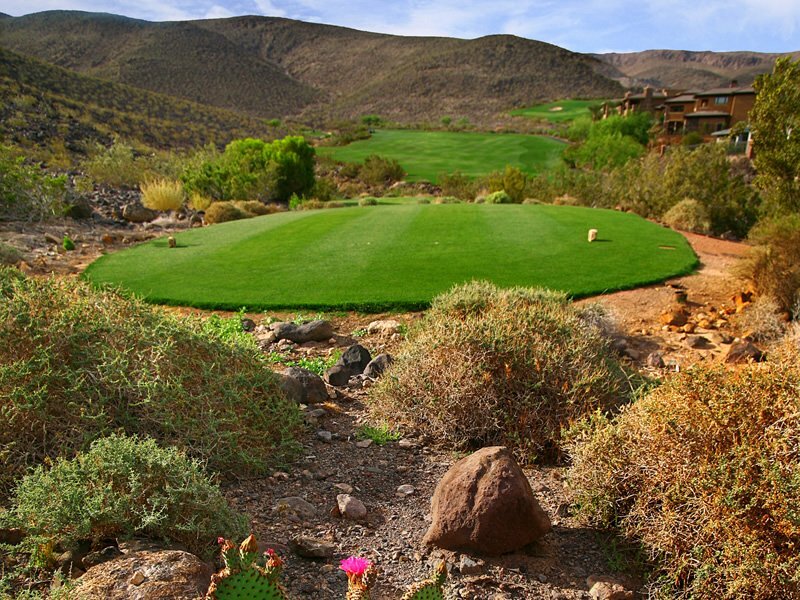 The nice thing about this hole is that it plays 2-4 clubs shorter due to the tee-box being on top of a mountain. You have to see it to believe it. You can see the entire Vegas Valley from one end to another….bring your camera; you will regret it if you forget it. 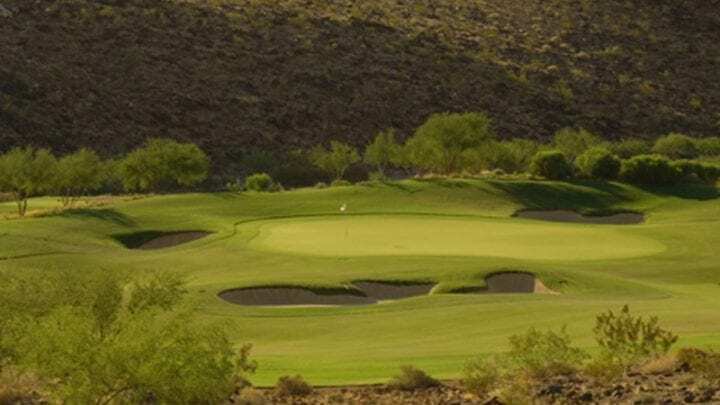 The famous holes that you have to look out for are 10 and 18. 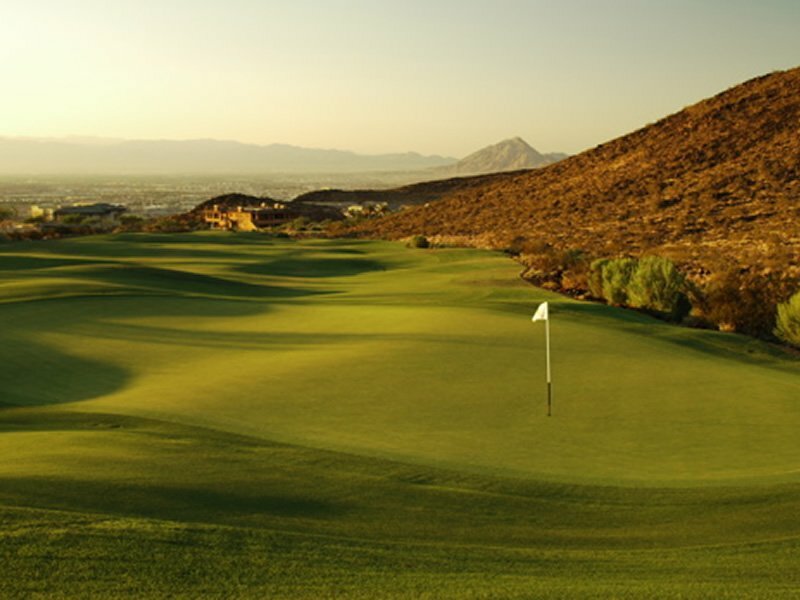 These holes both have split fairways; meaning you have 2 different fairways to choose from. All we can say is go left on 10 and right on 18…you should be safe with that. Do not be scared; the holes may look intimidating, but the landing areas are ample. Smart shot selection is a must. 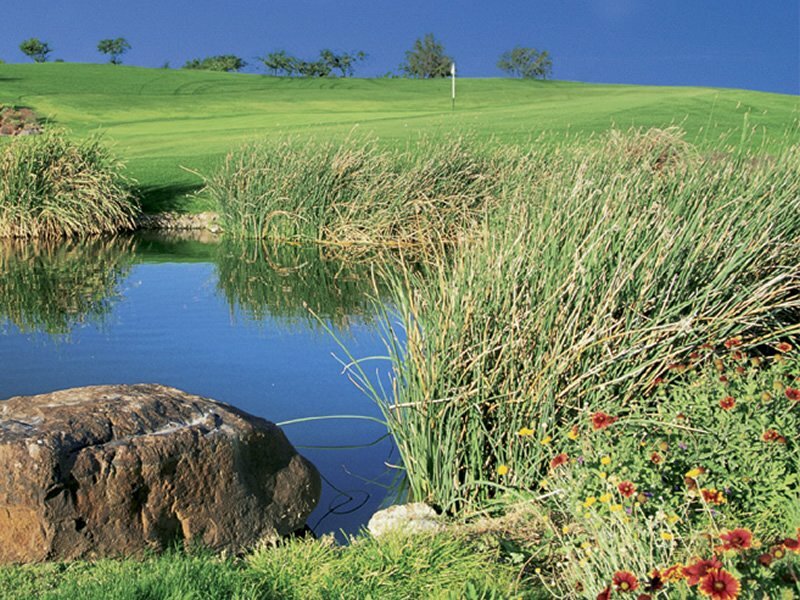 The best thing about DragonRidge Country Club, if the layout isn’t enough, are the greens. 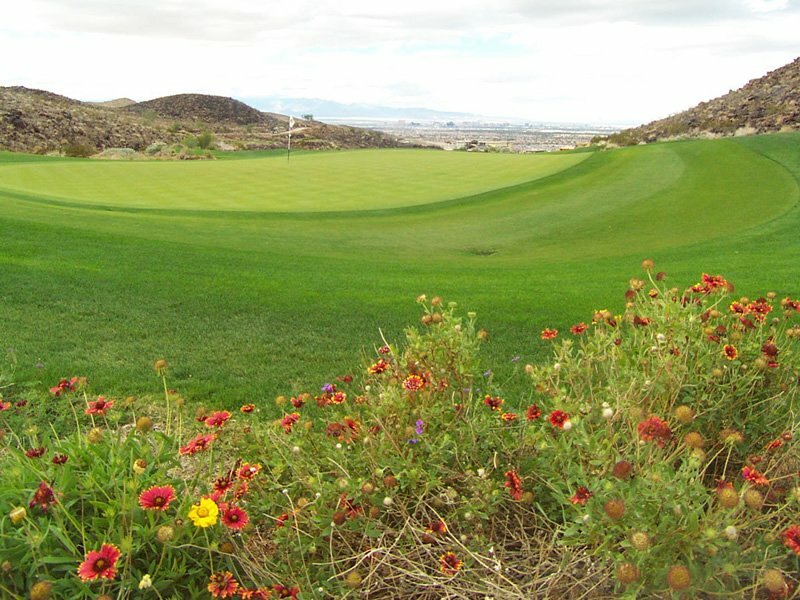 These are the best greens in town, year around. 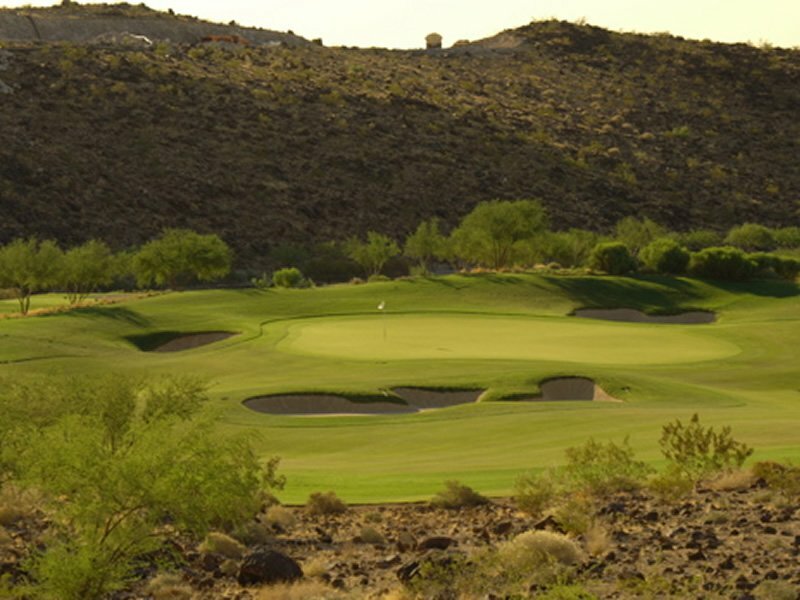 The original superintendent of the course received Superintendent of the Year in 2000. 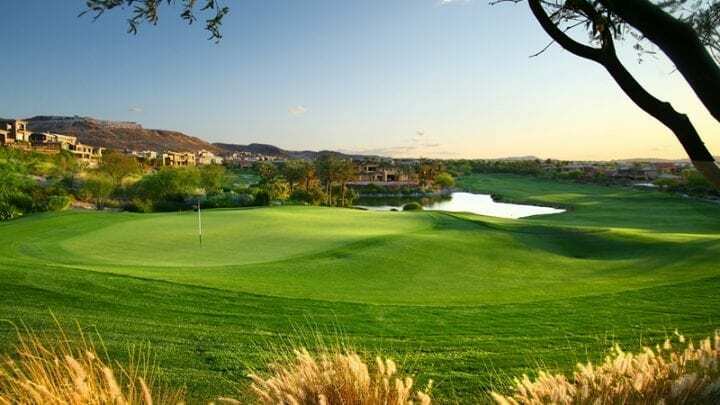 Another quick tip for this course is that every green breaks toward the east part of the Valley. You will see from every view that the city slopes to the east, and so do the greens. 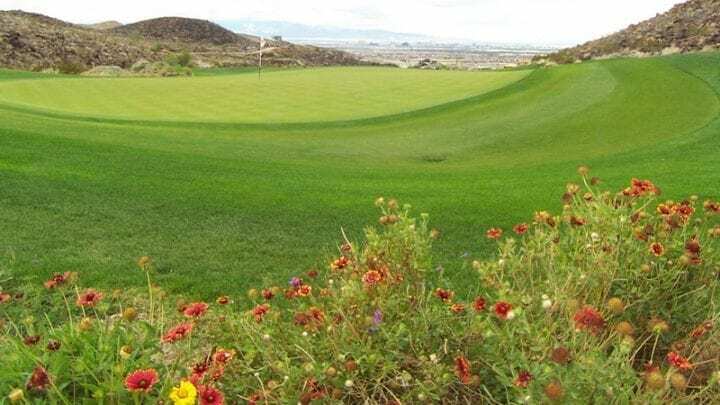 You may not realize it or even think it is possible, but after a round or two on the course, you will want to take the valley’s slope into consideration on each putt. From past experience, the valley does not affect the putt on number 16. 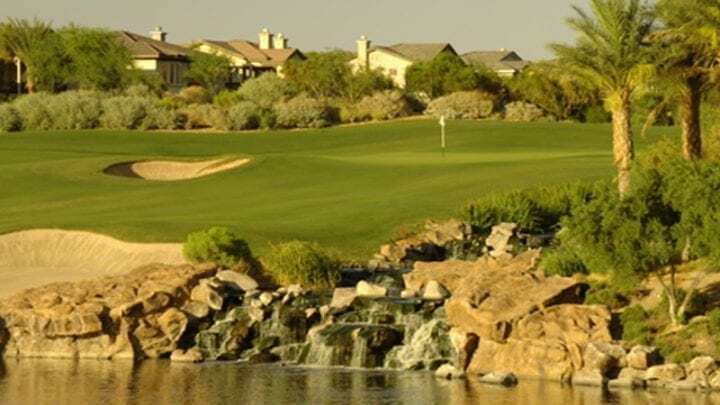 DragonRidge Country Club is located 15-20 minutes from the Las Vegas Strip. The course included a full driving range, chipping green with bunker, and putting green. 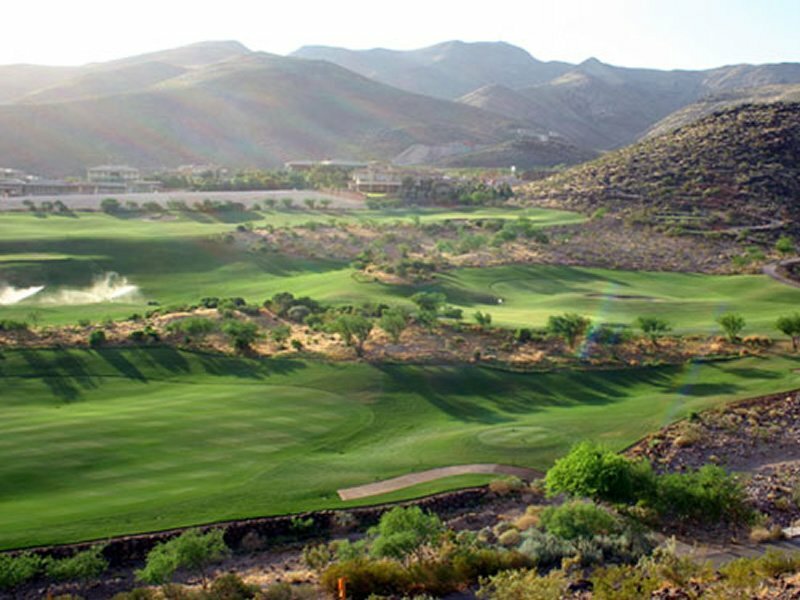 The facility also has a 35,000 square-foot clubhouse at the top of the mountain, that has views of the entire city. 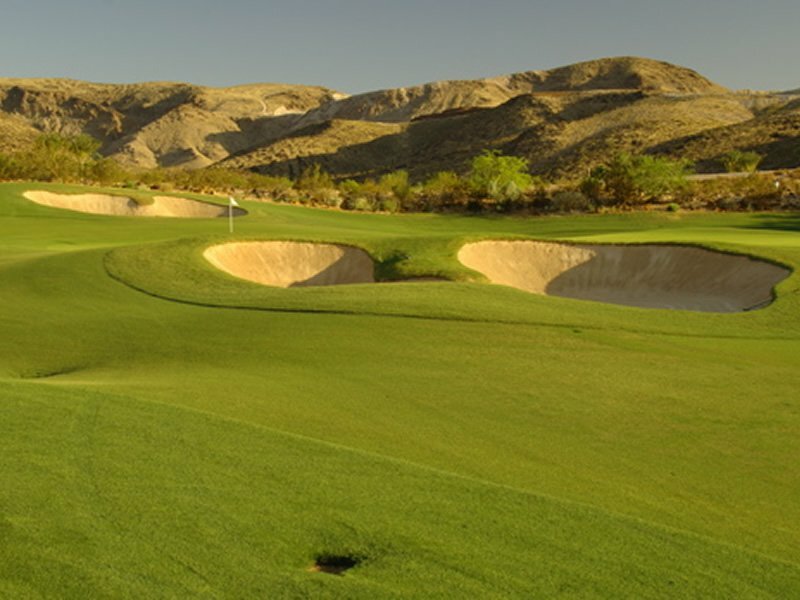 The course runs Bermuda on the fairways and Bentgrass on the greens. The greens come with severe to tricky breaks, especially with the valley having its affect. 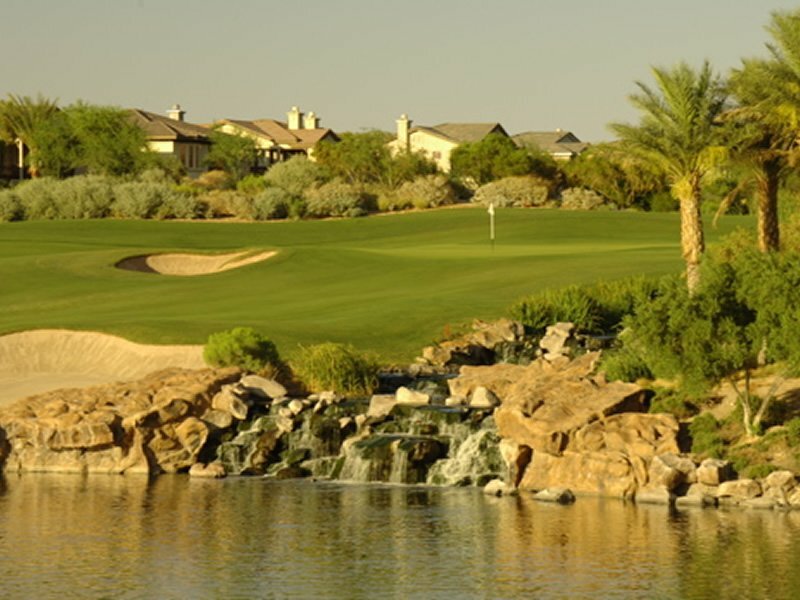 The clubhouse contains a fully stocked golf shop and a full-service bar and restaurant. 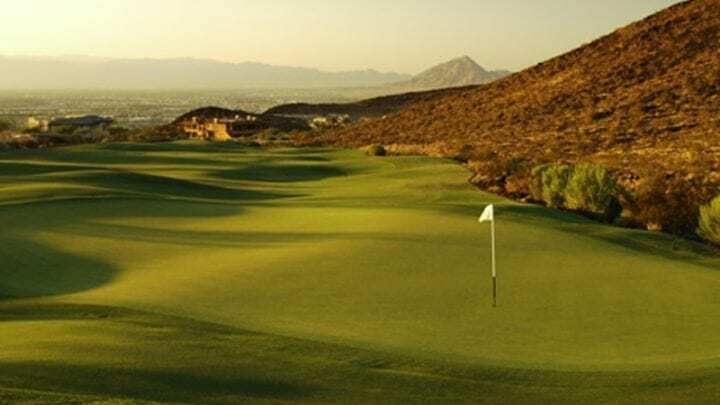 Get your round in before DragonRidge Country Club becomes fully private again and they close their doors to the outside public. 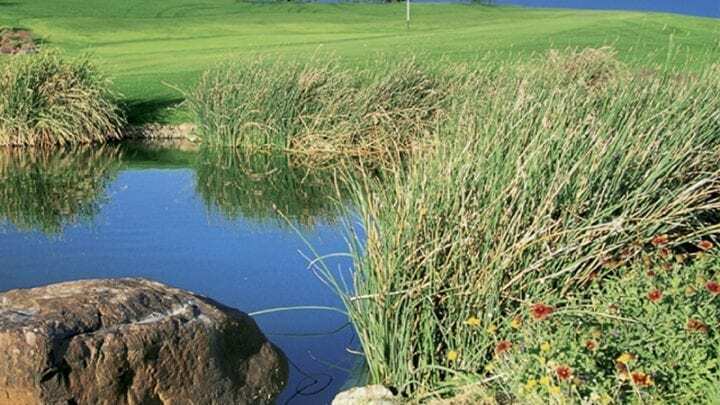 Trust VIP Golf Services, it is a “must play”.